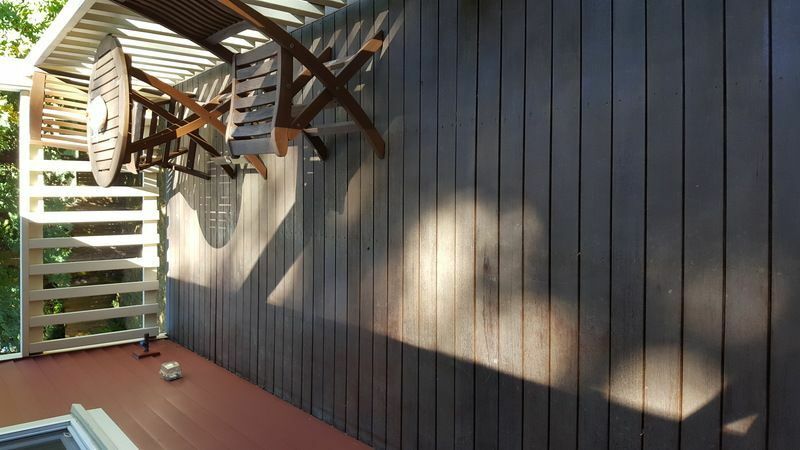 Maintaining a wood deck will ensure you get the longest lifespan and most use out of the extra outdoor living space. 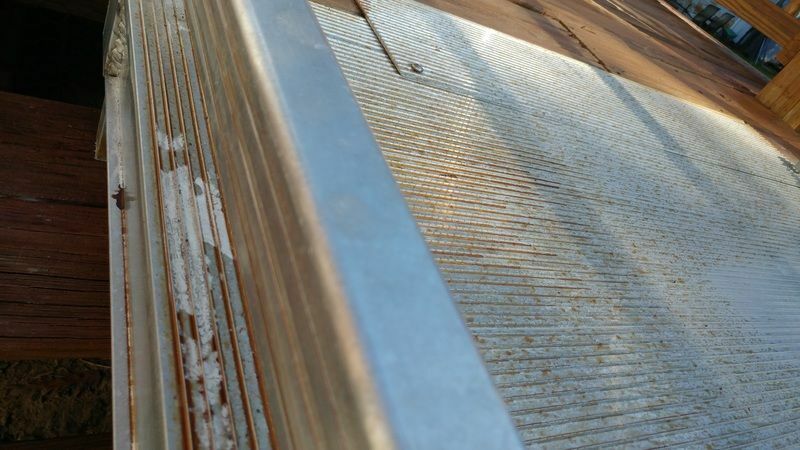 To maintain the appearance of a deck it should be cleaned and recoated every couple of years on average. 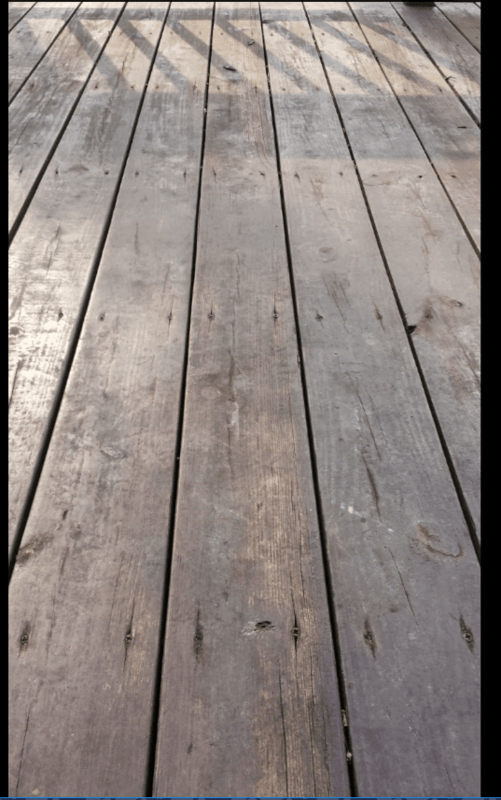 When preparing a deck for refinishing it is vital that it be cleaned properly. 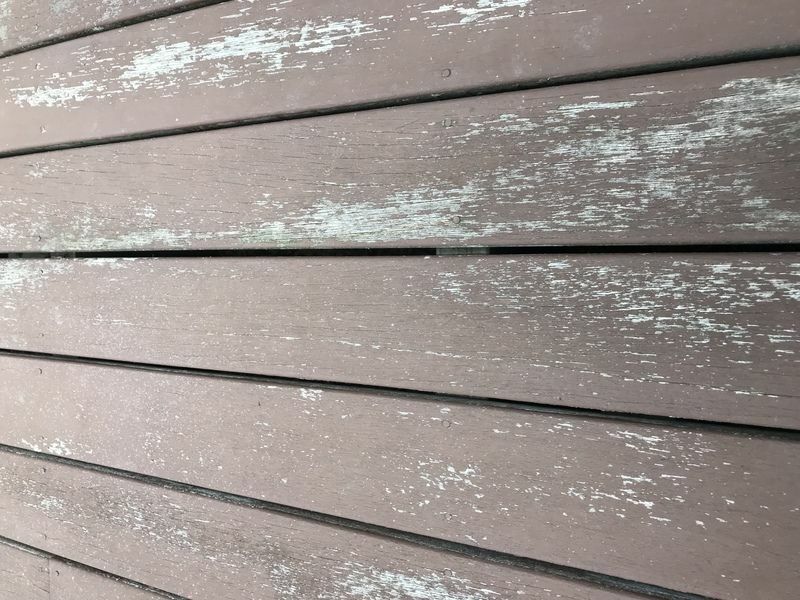 It is important to remove any old stain or sealer remnants that may be on the deck that would block the new stain or sealer from penetrating the wood properly. 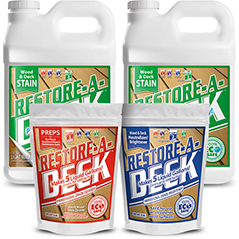 Restore A Deck Stain Stripper is a specially designed two-part system for stripping old transparent and semi-transparent deck stains from wood prior to refinishing. 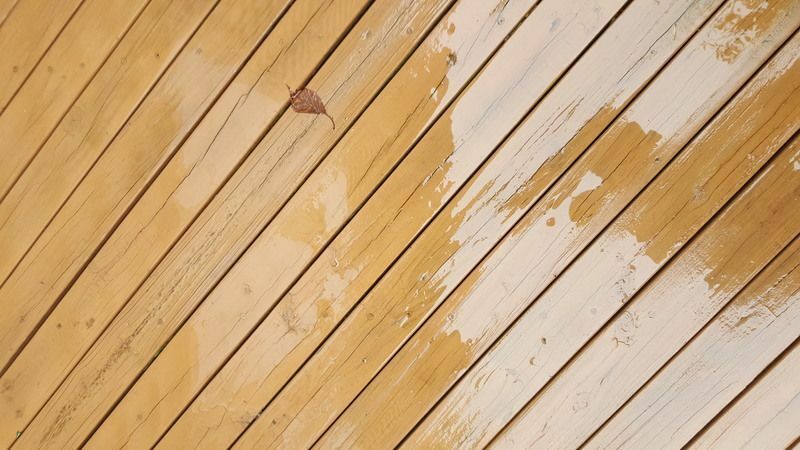 There are some basic step-by-step instructions for stripping a deck with the RAD Stain Stripper system. 1. Be sure air temperatures are within 45-90 degrees before starting. 2. Remove all furniture and décor from the deck and the surrounding area. Move at least 20 feet away and downwind from overspray. 3. Although RAD products are Eco-Friendly it is still recommended to cover any sensitive landscaping, shrubbery, and/or plants or pre-wet with water. Make sure to rinse well any overspray that may get on plants. 4. Cover any windows, doors, and other areas of the house with plastic or pre-wet with water. 5. Be sure to wear personal protection equipment such as eyewear, gloves, and clothing. 6. 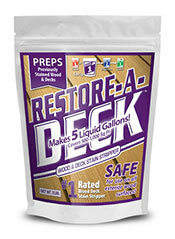 Mix Restore-A-Deck Stain Stripper by following the suggested instructions. Mix until all the crystals are fully dissolved. If using a pump sprayer to apply, mix in a separate bucket first and transfer to sprayer to avoid clogging of sprayer inlet tube. 7. 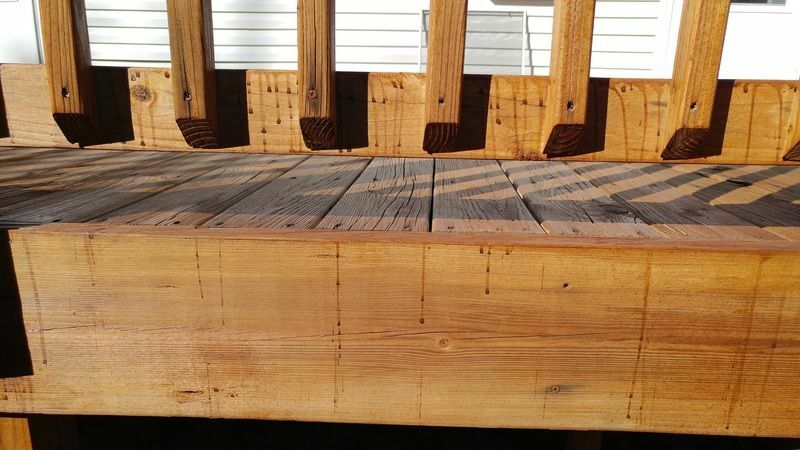 Option 1: Mist fresh water onto the deck then apply RAD Stain Stripper using a pump sprayer or scrub brush. This is the most effective way. Option 2: Use your chemical injector to apply RAD Stain Stripper for medium to light stain removal. 8. Allow RAD Stain Stripper to sit on wood for 10-15 minutes or until the surface becomes slippery. Keep misting deck with water so is not allowed to dry. 9. 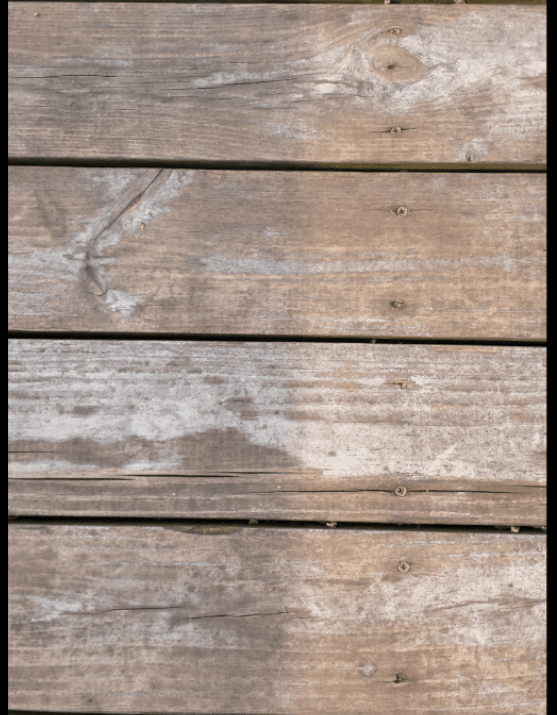 Gently pressure wash at 1500 PSI or hand scrub vigorously the deck until all dirt, grime, and gray fibers are removed. Rinse deck, shrubbery, and surrounding area with fresh water. Pressure washing is more effective. 10. 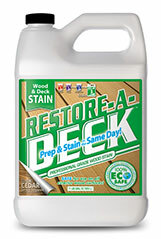 Reapply RAD Stain Stripper to any stubborn areas repeating steps 7 & 8 to remove old stain or sealer as much as possible. 11. 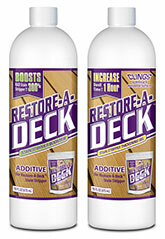 While wood is still wet apply Restore-A-Deck Wood Brightener following the mixing instructions and using a pump sprayer. The RAD Wood Brightener does not need to be washed or scrubbed, simply rinse off after 10 minutes of dwell time. Make sure to rinse the RAD Brightener thoroughly for 20 minutes until all soap suds are removed after the 10 minutes dwell time. 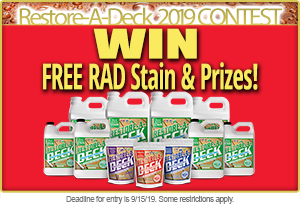 Note that RAD Stain Stripper is not intended for use to effectively remove solid deck stains or paints. Need Help Stripping an Old Stain? Ask Below! Can I use an airless sprayer such as the Wagner power painter to apply the stain? I have metal balusters between ipe handrail and bottom rail. Do I need to cover/protect balusters? Thanks. Most likely no but always test first to be certain there is not a reaction. Is it necessary to tape off adjacent areas that have a solid stain? Also, for the top of the handrails - can these be stripped with the RAD stripper or do they need to be sanded? I am removing TWP btw. The RAD stripper does not remove a solid stain unless it is already failing or peeling. Thanks for the reply. For the top of the handrails - can these be stripped with the RAD stripper or do they need to be sanded? That depends on what brand and stain and type of stain that is on the top of the handrails? Post a picture if you have one. Twp 1500 on the handrails and floor solid stain is the accent color. You can strip the tops of the railings. Make sure to rinse the overspray of the stripper off the solid stain on the spindles well when you are done. Same with the brightener. Will the stripper or brightener cause discoloration to the solid stain at all? Should it be rinsed off right away? It shouldn't but always rinse right away. would taping and putting up plastic to protect the solid stain be overkill? Try using a less concentration of stripper. 4-6 oz and brighten as soon as possible. This will reduce the chance of furring. As for the furring, this can easily be buffed off with a floor buffer and sanding pad. The furring does not always show through when stained. Spot sanding could result in the stain taking lighter there. This could have a blotchy appearance. We would not suggest this. Either do all or not at all. Never sand with finer than 60-80 grit. As long as the wood is not visibly soaking water, you should be okay to stain. Just do one coat since you are sanding. I purchased a home with a 15 yr old PT deck. I've replaced some very worn boards, though still have some that need sanding. I found an old can of Cabot semi-solid (1406 neutral base) in the basement, so I'm assuming that's what's on the deck. Couple of questions 1. Will the stripper remove this? 2. If the stripper does remove, should I just sand the problem boards, then strip and brighten everything? 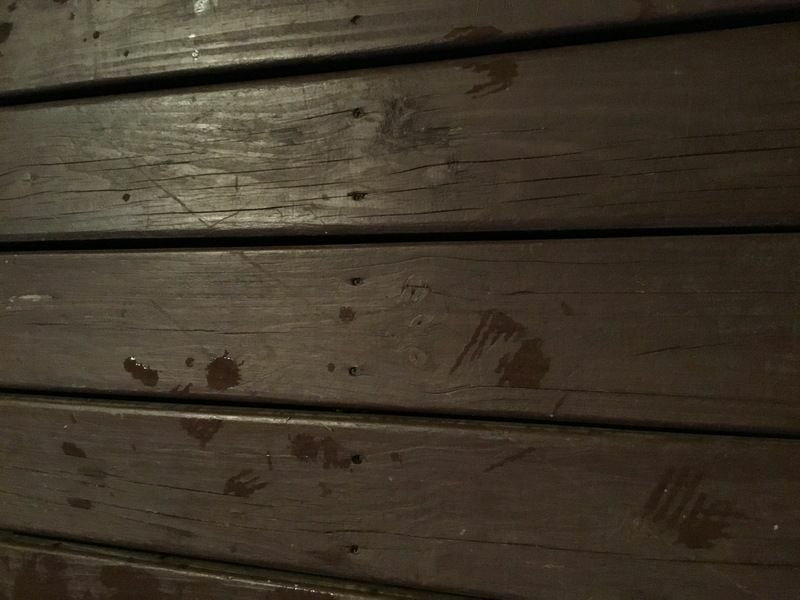 You have a solid stain on the deck and this cannot be stripped. You would need to sand this off fully as a stripper will not help. Once 100% sanded, clean and brighten for the final prep. will your stripper strip raw linseed oil. I am stripping off In-Wood which has been discontinued. Will stain stick to new boards that the stripper and brightener has been used on? Hello, I have a couple Ipe (I think) decks and stairs (railings and risers are painted) that I believe are finished with Sikkens Cetol SRD by previous owner (that is the can I found and assume was used at least). Plan is to use RAD stripper, scrub, lightly pressure wash off, then brightener, lightly pressure wash, wait a couple sunny days and then apply AC black walnut. My main question is about the needed for a sprayer, what is the advantage of using a sprayer for the stripper/brightener as opposed to say using my deck staining brush? Also, please let me know if there are any concerns with the plan! You will not be able to apply the prep products very well or efficiently with a brush. You should use a sprayer to apply. The SRD can be slightly stubborn to remove so you may have strip it twice in some areas. 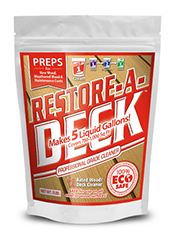 Will resotre a deck stripper remove Defy water based stain? 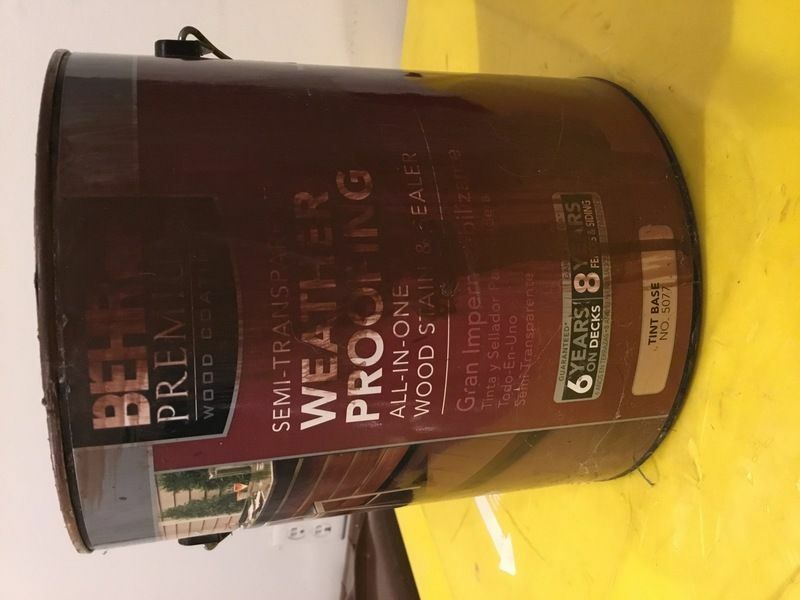 I have a deck that I previously used Behr Premium Semi-Transparent Waterproofing Stain & Sealer. Is this particularly hard to strip and brighten, in prep for applying your stain? Behr can be stubborn to strip but it will come off. 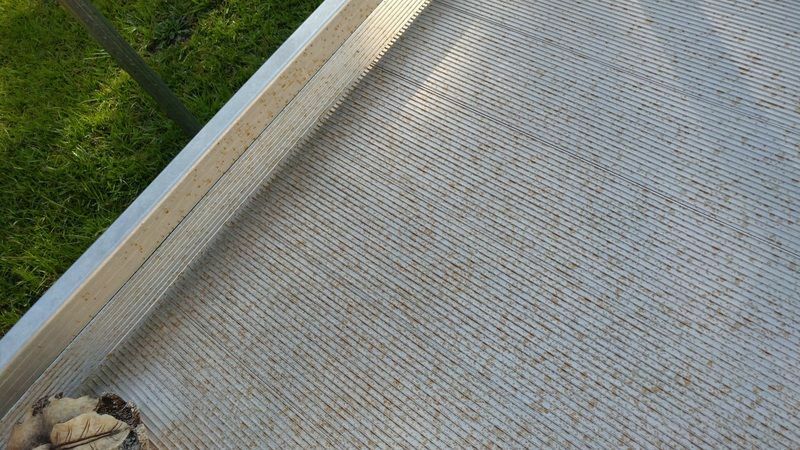 Make sure you are using a pressure washer while using the stripper and you may need to strip the stubborn areas more than once to remove. I have a rather large deck and I am stripping and brightening in sections before I stain. 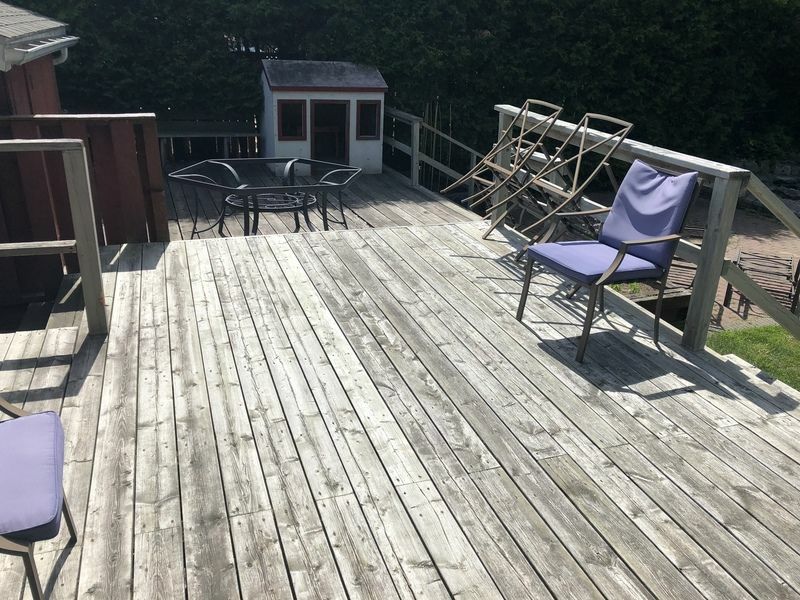 I would like to get the whole the deck stripped and stained before moving to actual staining. The process of stripping and brightening will likely take two or three weeks. 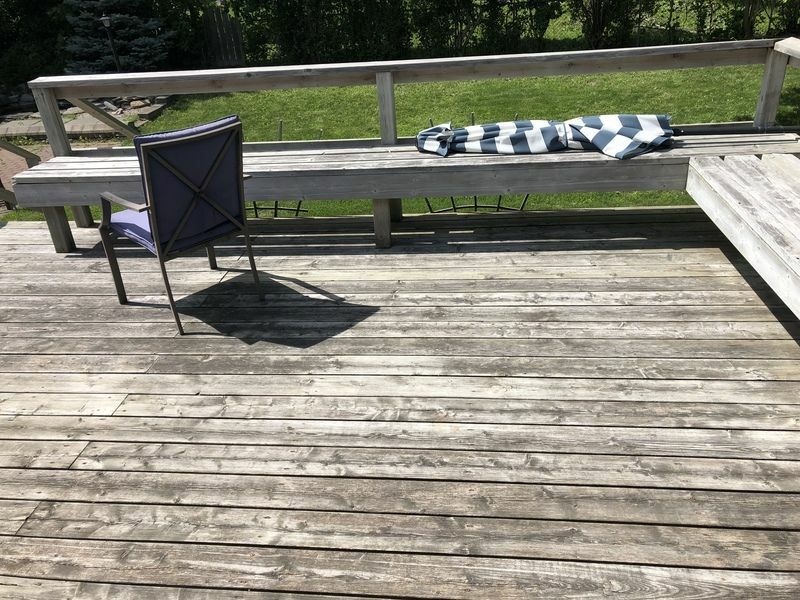 Will I have to take additional steps in three weeks before I stain if the deck has been sitting stripped and brightened for a period of three weeks? Lightly wash and brighten all when done. We are based in Michigan. Will this remove sikkens cetol srd natural oil based stain? The can says , "one coat protective exterior translucent wood finish". Yes, it does remove the Sikkens SRD. Apply and pressure wash off. Repeat if needed until all is removed. Brightener after. Could you scrub instead of pressure wash? We have pressure washer but is 2600 psi which I believe is too strong for the wood. You will need the pressure washer and 2600 PSI is only at the strength if an inch away from the wood. Back off and wash from 8-10 inches away and the pressure will drop in 1/2. Thanks, another question. Say next year after applying the restore-a-deck water based stain I decide I want to go back to oil based stain. 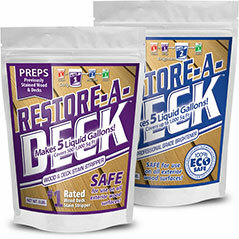 If I use the restore-a-deck stripper after a year will it remove the water based restore-a-deck stain without sanding and allow me to switch back to oil based stain? thank you for your help. Yes, it will remove the RAD Stain if you use the stripper. Hi, I used the the restore a deck stripper and it appears that the Sikkens SRD is pretty tough stuff. I stripped it twice and brightened it and after it dried i noticed that there is a little bit of old stain here and there but not much. 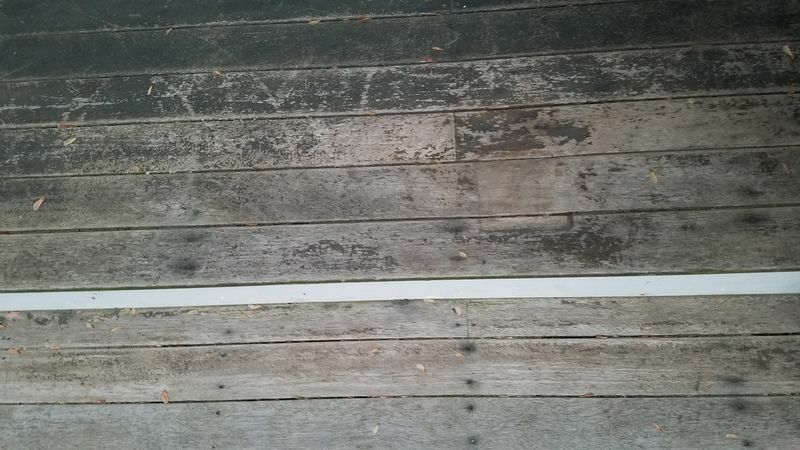 The old stain is natural oil based stain and I purchased the Restore a Deck natural water based stain. I have heard before that water based will go over oil based. Also, as mentioned they are the same color of stain. Will this be an issue if I leave the small amounts here and there and stain the deck with the water based paint? It is hardwood so I plan on staining again in a year anyways. If it is an issue, can I strip and brighten again? Also, can I sand the remaining small amount of stain here and there? If so, what kind of sandpaper would you recommend? Here is a picture of probably the largest spot. Try to get more off if possible. Shoot for 95% removal. A tiny bit should be okay. 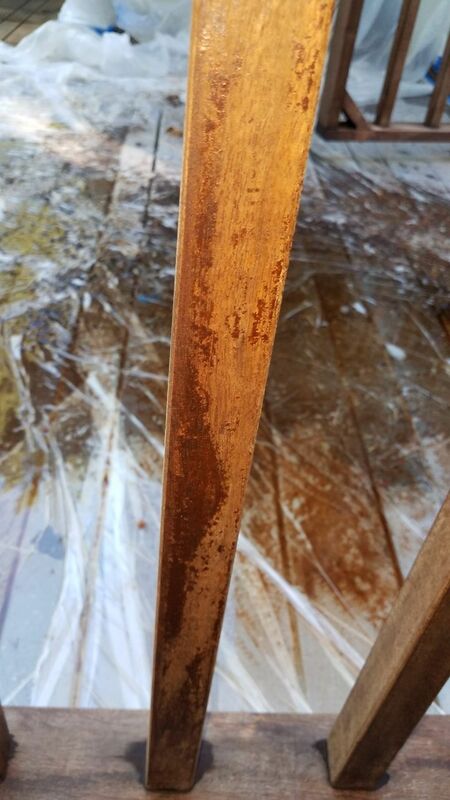 Hi.. will the rad stain stripper be able to remove the stain on my deck. That is a solid (opaque) stain or paint and the RAD will not remove this fully. Next question is will your stripper (or cleaner) clean the splatter-spray off an aluminum handicap ramp with a corrugated non-slip base? My pump sprayer went rogue on me and would not shut off which caused excess splatter stretching the first 4-6 ft of the ramp leading off the deck. 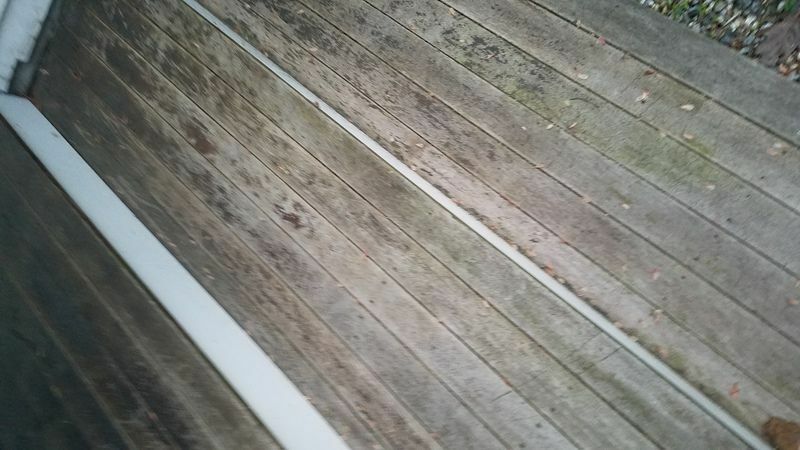 (see pics) I cleaned the splatter-spray off our vinyl siding, white aluminum clad storm doors and the flat smooth areas of the ramp rails with non-acetone "fingernail polish remover" and some light rubbing with a magic eraser sponge. The non-acetone (so far at least) does not appear to have harmed the siding; however it evaporates quickly in this Georgia heat so it's not working too well for the grooves on the hot aluminum ramp base. I used your deck stain calculator; but the back deck was thirstier than expected; so I'm now about to place an order for more stain and brightener to complete the front deck 12x10 with 6 steps/railings leading down to a split landing to include a bridge rail across the front of staircase. I used your stripper on this deck Sunday. By the Way - That Stripper means BUSINESS. I could see it working as soon as the first few spindles were sprayed. Gone is all the nasty green and black crusty mold and mildew look and STENCH. It "melted" away quicker than the Ole Wicked Witch in the Wizard of OZ. I could see it lifting the old Water Sealant and gunk from the decking boards almost immediately as I could see it modeling and floating suspended in the stripper fluid. Say HELLO to wood that almost looked shiny against the afternoon sun as I drove up our long driveway a short while ago. I can't wait to get the Brightener down on it and your Light Walnut stain will be icing on the cake. For the stain drips/runs, you will probably have to sand the drips and then reapply. For the aluminum, the stripper should remove this but do a test spot first. I have a redwood deck which I want to stain. Since you do not offer a redwood color, what color stain would you recommend? When using RAD stains, can a sprayer be used on vertical spindles? Yes but always back wipe any drips. We HAVE to do something about the state of our deck. We thought it would have to be sanded down due to the many years (a decade) of neglect. Nothing has been done to it in so many years. I am not sure what products would be best for us. I have posted pictures....please advise on what products would be best for us. I would be happy to purchase anything that will make it look half decent again. FYI we don't do DIY projects often, we are not good at it and it would likely take us longer than a day. Is it fine to split things up or is it better complete quickly? Best to prep with the Restore A Deck kit that is the cleaner and wood brightener. 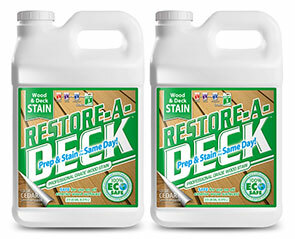 Afer the prep, stain with the Restore A Deck Wood stain. It will look many times better than the 1/2 decent! Can your stripper be used over Thompson's Water Seal? Shameful I know but that's all we've ever used since deck was built. It was never officially stained. It will strip the Thompsons. Hi there! Your product was recently recommend to me. I believe we have a mahogany deck, and I believe the former homeowners used Australian Timber oil n it about 3 years ago. It is in rough shape now, as it gets a lot of abuse with salt during the winter. Partial sun. Also some mildew. Photos attached. What would you recommend? I realize that I must remove the Olympic Cedertone stain on my deck before restraining. Where does the stripping come in the sequence with cleaning and brightening or do you not use all three steps when stripping? Thanks. No need to use the Cleaner if you are using the Stripper. Brightener after. can your stripper be injected with a sun Joe Pressure washer 4000 ? Probably but never heard of this pressure washer type before. Untreated board pic didn’t post so here it is. Our deck has a two year old application of Bear semi-transparent stain. I’ve used the stripper, applying with a scrub brush, but I’m not getting very good results. Any ideas? If the pics load in order the first is an untreated board and the second is treated with a lot of scrubbing after twenty minutes. Unfortunately, the Behr is applied so thick that it is acting and looks like a solid stain. Deck stain strippers will not remove solid stains fully. Using a pressure washer with the stripper will be much more effective but you will probably need to sand to remove all of this Behr. 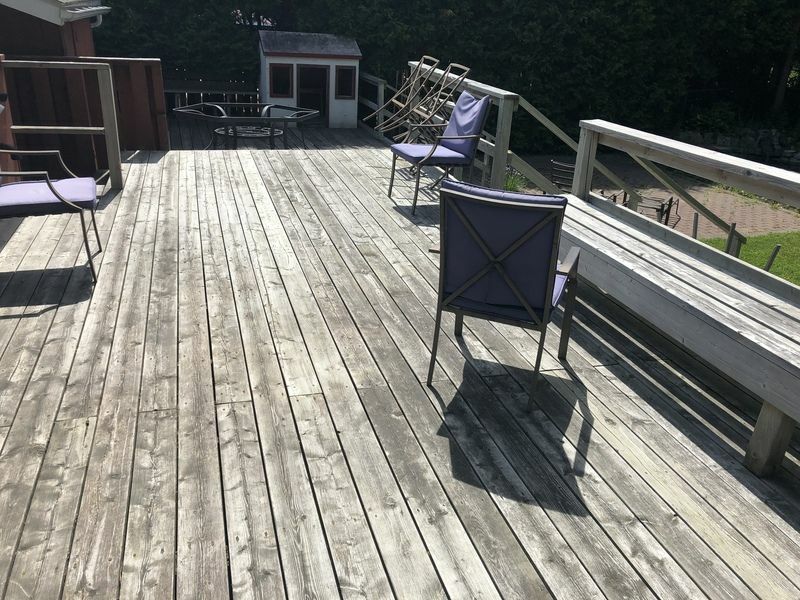 We purchased a home with a deck that needs refinished. Treated pine with a solid stain, I believe. Looking at the picture can you guess what stain was used and what stripper will remove all of the old stain? I think the stain is 3-4 years old. The picture is of the railing top. 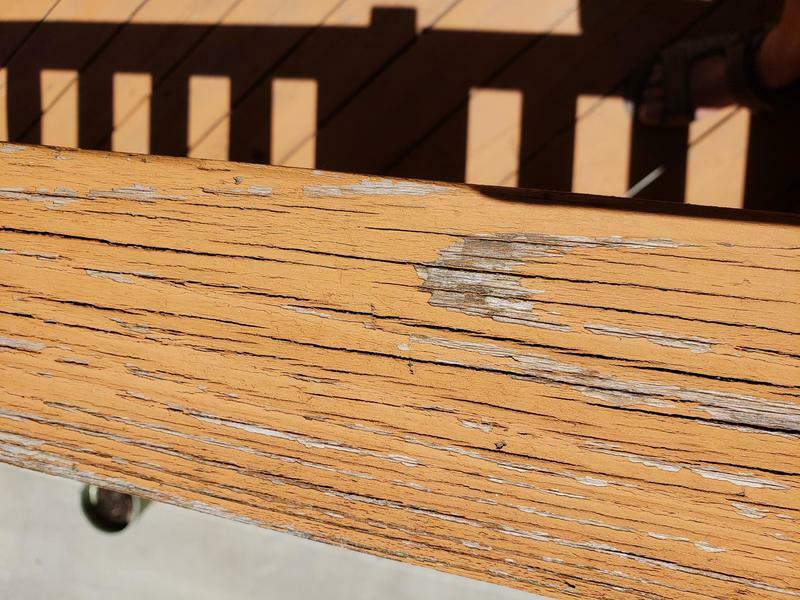 Hello, the RAD stripper (and any other deck stain stripper) will not remove solid stains like this. Can you guess which solid stain was used? What are my choices for removing it? You will have to sand to remove it. Looks like Sherwin Willaims Solid Stains. The deck is about 1200 sq ft with an screened porch so sanding isn't possible. Looks like I have to stay with solid stains. Do you have a suggestion? Sorry, but we do not offer any solid stains from our website. Will restore a deck stripper harm aluminum. 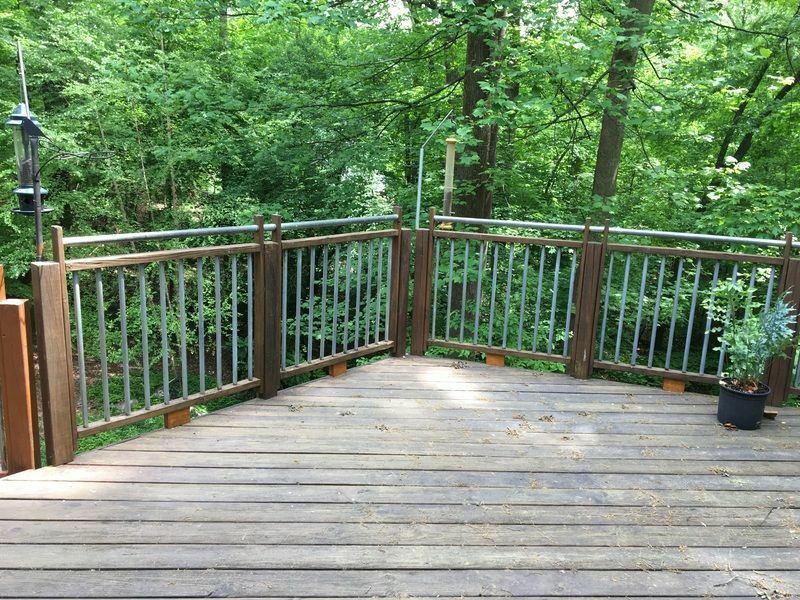 My deck has vertical section in the fence railing. I’d like to apply the stripper to the wooden part of the railing but am wondering if it is safe to do so if it gets on the metal. It is most likely okay but always do a test spot first. My deck is too large to complete the stripping/cleaning/brightening process in one day (that's what my body is telling me today anyway). After 8 hours of cleaning yesterday I was only able to get to about 2/3 of the deck and today it's raining. I haven't applied any brightener on the clean, exposed wood yet. I was hoping to get it all stripped then deal with the brightener. I'm worried about today's rain and the harm it maybe causing to my old deck. Am I safe to continue as planned, knowing it may be several days before I can brighten or should I brighten now where exposed? Can this be done on wet wood? The rain will not harm anything and you will be fine to complete later. Hi Brian, yes the RAD stripper will remove this. Apply and pressure wash off. Rinse when done and then apply the Step 2 Brightener. I have a deck about 10 years old. The Cabot Australian oil was used 1st followed by the Flood Product and years 3 to present Wolman's F&P. 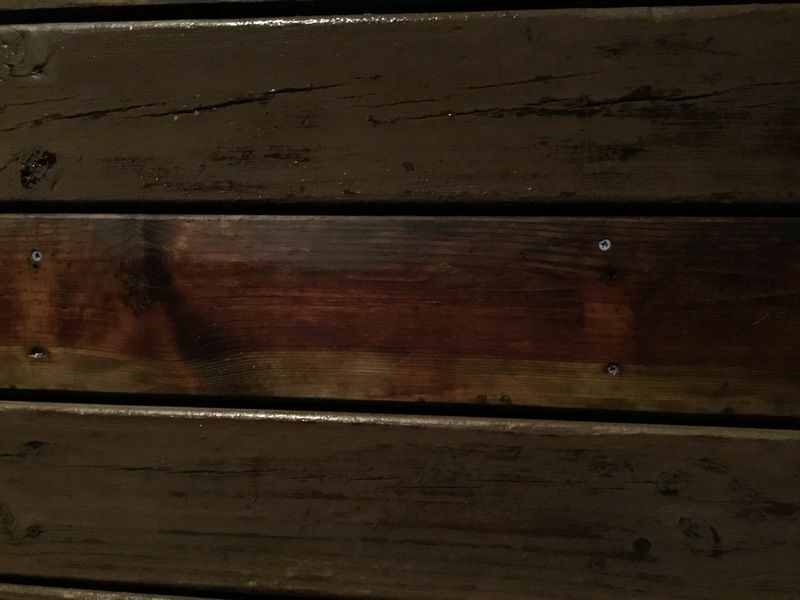 Would your stripper remove these products from the wood? Can you please post a picture? Thanks! Please post a picture or two. I understand that your stripper is meant for removing paint, but could it at least provide some value if I put it on before washing what I am pretty sure is paint? I wasn't able to get any pictures last night, and wont be able to do so today either. It does not remove paint or solid color deck stains. It will remove some loose paint though and prep for reapplying another deck paint or solid stain.